People left disabled due to injuries sustained during the Troubles have said they are an “embarrassing inconvenience” because they have lived longer than expected. Members of the WAVE Trauma Centre’s Injured Group will travel to England today to highlight the “significantly inferior” care they feel they have received in comparision with the rest of the UK. The group will visit the Spinal Rehabilitation Unit in Stoke Mandeville Hospital as well as Limbcare and the Limbless Association. They will also go to Westminster to make the case for a special pension for the severely injured – something in place in other countries where civil unrest resulted in victims having life-changing injuries. Most of those badly injured have to live on benefits because they were unable to build up occupational pensions because of the severity of their injuries. Paul Gallagher was shot in 1994 by loyalist gunmen in his home in west Belfast. One of the bullets hit his spine leaving him in a wheelchair since the age of 21. He said the group is “stubbornly determined” to campaign for what they need. He said: “It’s shocking that people whose lives are permanently and catastrophically damaged by the conflict still have to lobby and plead with the authorities at local and national level to give us just enough to allow us to lead lives as independently as possible for as long as possible. 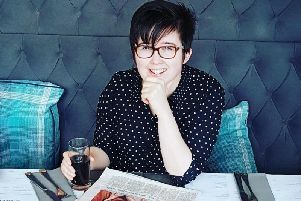 “In terms of the needs of wheelchair users like me or amputees who use prosthetic limbs it is clear that the level of provision in Northern Ireland is lower than elsewhere in the UK and that is not good enough. “Equally the government’s refusal to treat the severely injured as part of the legacy of the conflict is part of the same kind of mind set. He added: “We are treated as an embarrassing inconvenience because we have lived longer than expected. “One of the reasons why we’ve lived far longer than predicted is because of the support of our families and a stubborn determination to make our lives work as best we can in circumstances that we would not wish on anyone.